The director/screenwriter discusses his films in between an American Cinematheque double feature of his last two works, The Place Beyond the Pines and Blue Valentine. First up is The Place Beyond the Pines, a crime drama centered around carnival motorcycle stuntman Luke Glanton (Ryan Gosling) who turns to bank robbery as a way to provide for his son. Bradley Cooper and Eva Mendes also star. 2010's Blue Valentine was Cianfrance's first time working with Gosling, who, along with Michelle Williams, is part of a married couple whose relationship is documented over the course of several years. Both films are fantastic character studies that explore familial relationships in powerful ways. Heirloom LA and Poketo are throwing an event to celebrate Korean and Thai street food and drink from 6 p.m. to 10 p.m in Heirloom LA's salon garden. Aside from the delicious Kyochon-style chicken wings, grilled Kalbi Beef and Bulgogi Pork, there are Boat Noodle Soup, meatballs, a lettuce wrap station (with Larb, crispy pork and spicy eggplant options) and sweet treats to round out the menu. The evening promises music, movies and a photo booth, too. 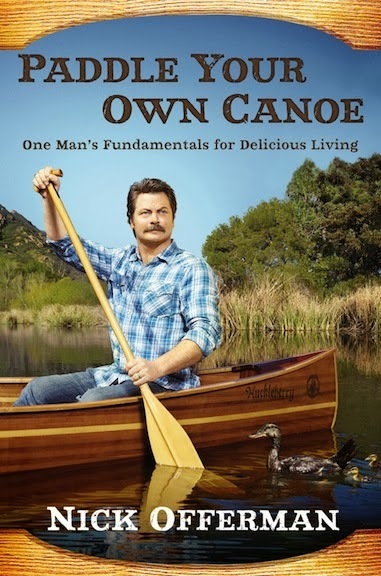 The "Parks and Recreation" funnyman made his literary debut with Paddle Your Own Canoe: One Man's Fundamentals for Delicious Living this week and celebrates the release with an event where he presents and signs copies of the book. The $31.95 admission fee includes a copy of the book, which offers tales from his childhood, early days in theater and as a carpenter, as well as his courting of wife Megan Mullally. Expect hilarious anecdotes and life lessons concerning "manliness, love, style, religion, woodworking and outdoor recreation." The studio and rehearsal space hosts its first annual music, magic and beer block party. Musical performers include Wu-Tang Clan mastermind RZA, Liam Finn, Twin Shadow & Wynn and Vanaprasta, while the magic stage features Jon Armstrong, David and Leeman and Rob Zabrecky. The $30 general admission ticket includes one drink ticket ($50 VIP includes food and a hosted bar), and festivities run from 3 p.m. to 11 p.m. The legendary Newport Folk Festival heads west for the first time with two days of musical greatness. Each day features acts on two stages with Neko Case, Brett Dennen, Justin Townes Earle, Calexico, Shovels & Rope and the Eagle Rock Gospel Singers on the Main Stage and Dave Simonett, Jessica Pratt, Neal Casal and Jenny O. on the acoustic Carousel Stage Saturday. Sunday's Main Stage lineup includes Conor Oberst, First Aid Kit, the Felice Brothers, Jonathan Wilson, Thao & the Get Down Stay Down and Joel Rafael, while Hurray for the Riff Raff, Spirit Family Reunion, Aaron Embry and Frank Fairfield are set for the Carousel. If you're a music lover living in Los Angeles, then you know of Stones Throw and its stable of artists that includes Mayer Hawthorne, Aloe Blacc, Dam-Funk and Madlib among many others. Founded by DJ Peanut Butter Wolf in 1996, the story of the label is being told to the world in a new feature-length documentary from director Jeff Broadway with plenty of concert footage, home video and interviews with the likes of Common, Mike D, Kanye West, Talib Kewli and Flying Lotus. Street Food Cinema screens the film at 7:30 p.m., but come early for DJ sets from PBW and KCRW's Garth Trinidad and food from food trucks that include Hungry Nomad, Romolo's and Bollywood Bites. 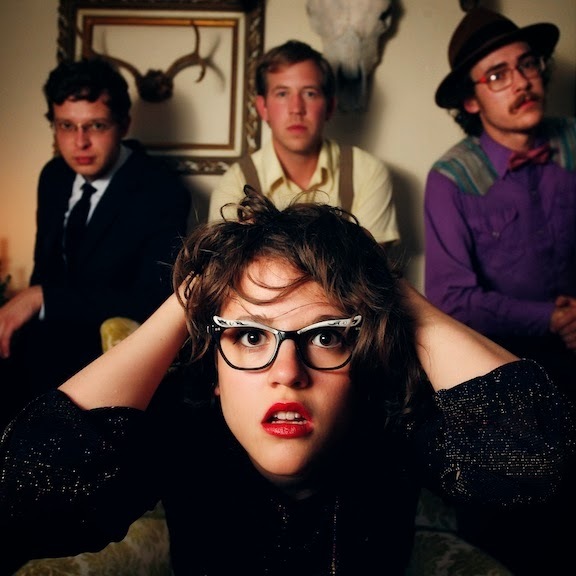 Listening to songs like "Party Kids" and "They Told Me" from the Portland, Ore. quartet's latest album, Untamed Beast, that released earlier this year, it's hard to concentrate on anything other than having fun. 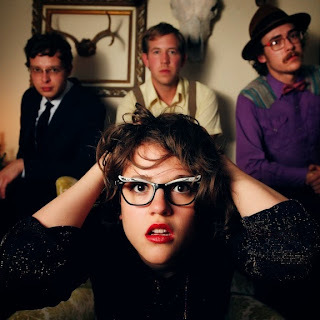 It's a good thing they're swinging through Los Angeles again, because I'm in need of a good party with their soulful and gritty brand of rock that's anchored by the witty lyrics and powerful vocals of Sallie Ford. The world premiere of this new adaptation of Frederick Knott's 1966 play and 1967 film (starring Audrey Hepburn) of the same name puts a twist on the classic placing the story in a different time and setting. The production is just as full of chills and thrills, though. Alison Pill, from HBO's "The Newsroom," stars as Susan, alongside a cast that also includes Adam Stein, Mather Zickel, Rod McLachlan, Matt McTighe and Brighid Fleming. Running through Nov. 17. The Liverpool singer-songwriter made his US debut with the From Nowhere EP earlier this year, and with tracks like his latest single, "In/Out," Croll continues to capture acclaim across the country. As we await his first full-length release, he's touring the states with a stop at the Troubadour this evening. It's impossible not to smile while dancing to his fun songs that run the gamut genre-wise. I can't think of a better way to get through the mid-week slump than this show.